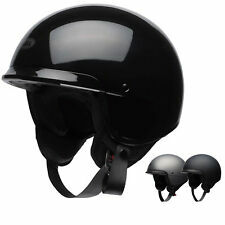 Bell Qualifier DLX - Rally Matt Black Motorbike Motorcycle Helmet Medium. Condition Good remember it’s a used helmet. Dispatched with Royal Mail 2nd Class. Purchased less than a year ago. Not used as a daily rider helmet, only used when the sun was shining. Has the lens that darkens when sunlight shines on it. Clever and lovely looking helmet. From a clean home. Size medium. No returns. No overseas bids/sales. Immediate payment via PayPal only. Cash collect if local. Questions welcome. Throwbacks and retro lids are nice, but nothing beats an original. (Choice of Smoked Visor). Fiberglass Shell. Weight: 1200 Grams. Throwbacks and retro lids are nice, but nothing beats an original. Back in 1954. Padded Chin Strap with D-Ring Closure. Bell Bullitt Crash Helmet. Condition is Used. Only used four or five times small marks you can see in the photo happened when rolling it over taking these photos, never dropped, small scratch to mirror visor (in photo) not used due to not riding. Dispatched with Royal Mail 2nd Class. 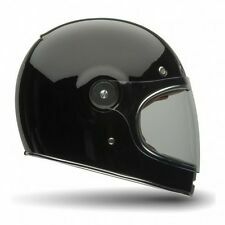 Large size (58-59cm) Bell Bullitt Carbon Matte Motorcycle Helmet with Brown Tab Clear & Flat Mirror Visor. Never used only tried on a few times in the house. Beautiful helmet given to me as a gift but unfortunately just doesn’t fit my head shape. Comes with original helmet case. I believe all these helmets are one size and you just change out the cheek pads to change up or down. Grab a bargain Happy bidding Dispatched with Royal Mail 1st Class. Item will be boxed and packed safely & securely. All with brown leather tabs. Both the visor and peak are detachable so you can choose how you want to ride. Motorbike Helmet. Condition is New with tags. Dispatched with Royal Mail 2nd Class. Bell Mt9 Mips Dual Sport Helmet as new condition only used a couple of times Xl, I have matching leathers and boots on other listings clear lens. Bell K1 Sport SV motorsport helmet. Size 57-58cm small. Lightweight, Bell SV brake visor mechanism with anodised blue visor pivots, aerodynamic shell with front chin spoiler (duck bill) with passive chin bar and brow ventilation ports. Snell SA2005 spec, so is out of date for MSA affiliated events. Helmet sold with some marks as can be seen, original clear visor, HANS fixing posts (Schroth FIA 8858-2002), box (but not original), soft touch Bell helmet bag. Helmet has always been stored in cloth bag, never been dropped or had any hard impacts. Always worn with nomex balaclava and kept in a smoke free home. Delivered via myhermes signed for delivery or can save postage and pick up from Walton on Thames (or Putney Monday to Friday during work hours). Bell Moto 9 Carbon Adult Motocross Helmet Size Medium. Condition is Used. Dispatched with Royal Mail Signed For® 2nd Class. Bell Bullitt Helmet - Matt Black - M. Bought last year brand new from BSMC and only worn a handful of times. Unfortunately does not fit my head shape too well. No drops or dents. Sold with original clear visor, box and all accessories. Has the large Bell cheek pads fitted which makes it fit a little more snug than stock. * Please note * Also has GoPro mount attached to right side. I did try to remove but did not want to risk damaging the helmet. Feel free to ask any questions before bidding. UK bidders only please. Sold as seen. No returns. Will send recorded delivery via Royal Mail and will pack as securely as possible. Bell Motorcycle Crash Helmet, used 4 times then I ended up in a small accident, small chips to one side, scratch to visor, no big damage, please Check Pics. Condition is Used. Dispatched with Royal Mail 2nd Class. Please check my other items. AMERICAN POLICE/COP - BIKE HELMET - GENUINE. Condition is Used. Dispatched with Royal Mail 2nd Class. 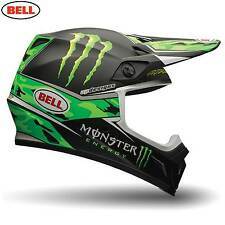 Bell mx 9 with mips crash helmet Adventure Or Road use. Has removable peak comes with dark visor aswell as clear visor also pinlock. It is fluorescent orange the pics have lightend the colour. Very good condition size is large. 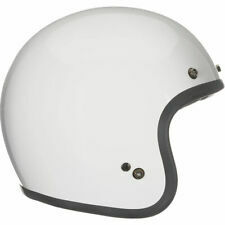 BELL CUSTOM 500 SE HELMET.MEDIUM.INDEPENDANT.RETRO.CAFE RACER.MEDIUM.